These days Johnny Rotten and Joe Strummer are household names, icons of the punk rock movement of the late 70’s. Rat Scabies and Captain Sensible? Not so much. Thanks to Wes Orshoski’s latest documentary the world has a chance to glimpse the frantic, frenetic lives of another band out of London. The Damned: Don’t You Wish We Were Dead? is a thorough, even-handed look back at their history, cultural significance and the colorful, clashing personalities within the seminal punk band. The film starts out traditionally enough, young kids getting together and making music against the backdrop of the burgeoning punk scene. The timelines then begin to skip ahead or jump backwards as the band itself begins to deconstruct and transform into various iterations. This possibly jarring direction is utilized by Orshoski to focus on certain band members and highlight their philosophies, joys and worries. In fact, this objectivity and balance is the real strength of the film, especially as acrimony and misunderstanding take hold. Money and licensing issues wreak havoc on the band’s cohesion but Orshoski doesn’t try and cast any of them as villains or heroes but simply as creative people with strong, perhaps intransigent, viewpoints. There is a sort of micro-documentary centering on The Damned’s biggest fan. This profile of a hardened, aging punk is fascinating and his devotion speaks to the true resonance the band had within the punk scene. Also, it doesn’t hurt to have Chrissie Hynde of the Pretenders and Lemmy of Motörhead vouch for you. And hey, Fred Armisen is also featured because of course he is. Jokes aside, Armisen makes a salient point about the simple, powerful pleasure of music and the bonds it can create. The film is quite effective at extrapolating the myriad perspectives of The Damned and the people surrounding them and creating a philosophical whole. Reflection on creative freedom and the sacrifices made for that freedom emerge as the central theme in Don’t You Wish We Were Dead? 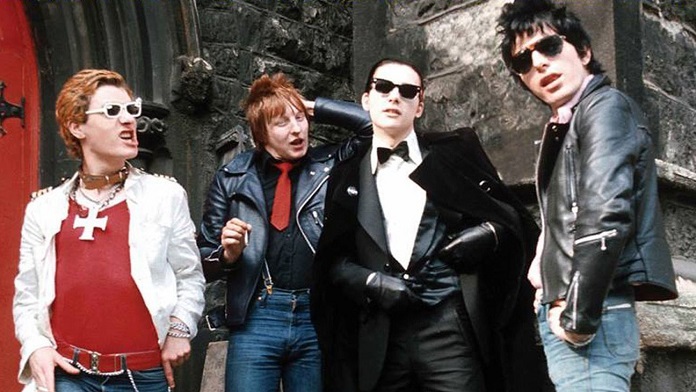 Without the cash of The Clash or the lifestyle of Johnny Lydon, The Damned are forced to truly grip with the struggles of artists who never quite made it. There’s no clear-cut answer here, no clarion call for eternal punk revolution but the questions drudged up are certainly worth watching.